Oh boy. I really can’t tell you how much I love Thanksgiving. That wasn’t always the case. When I was little, it always felt like a “filler” holiday between Halloween and Christmas. (I know. “what a brat!”) But now, I can’t wait for that special Thursday to roll around so I can gather with my friends and family and celebrate all that we have to be thankful for. Plus PIE. It’s no secret that I love food more than your average lady. It’s my love language. Yes, I know it’s not a registered love language, but come on. 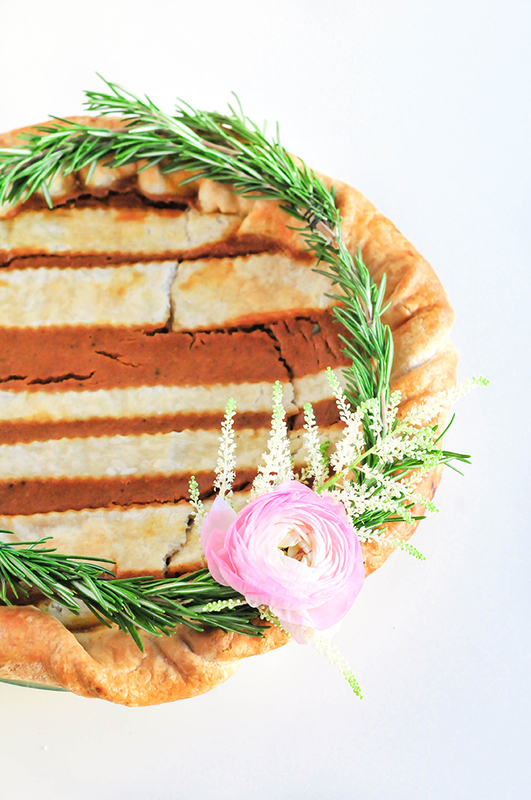 With Thanksgiving just a few days away, I thought I’d share some of my favorite tips for baking, decorating, & perfecting Thanksgiving pies! It’s become a bit of an obsession every November so I dug through the archives and rounded up a few of my faves! 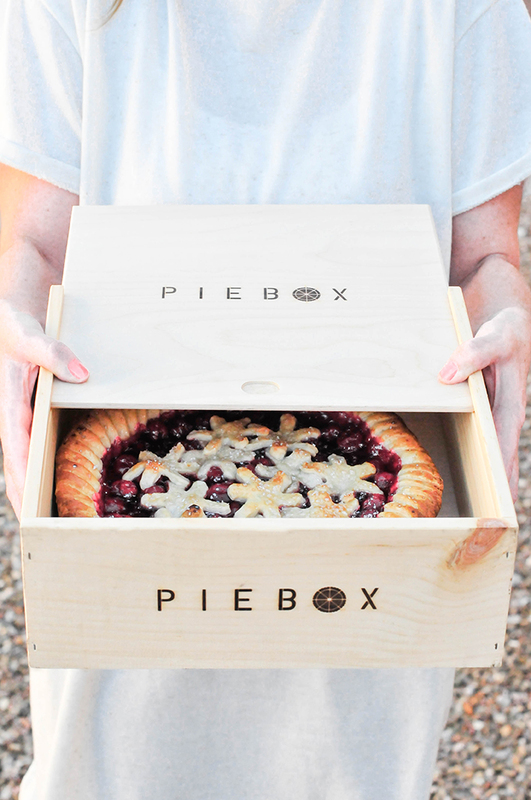 Remember the great pie workshop in Denver right before we moved? We got together and learned the art of crust while chatting up with old and new pals. 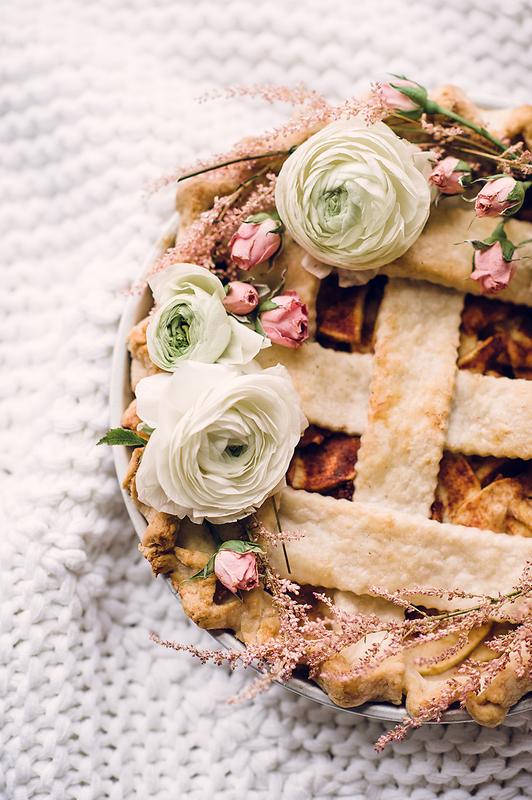 After each pie was assembled, we had flowers available to create mini arrangements like wreaths and posies to place on top of each pie. Simply use floral wire to wrap a few blooms together! 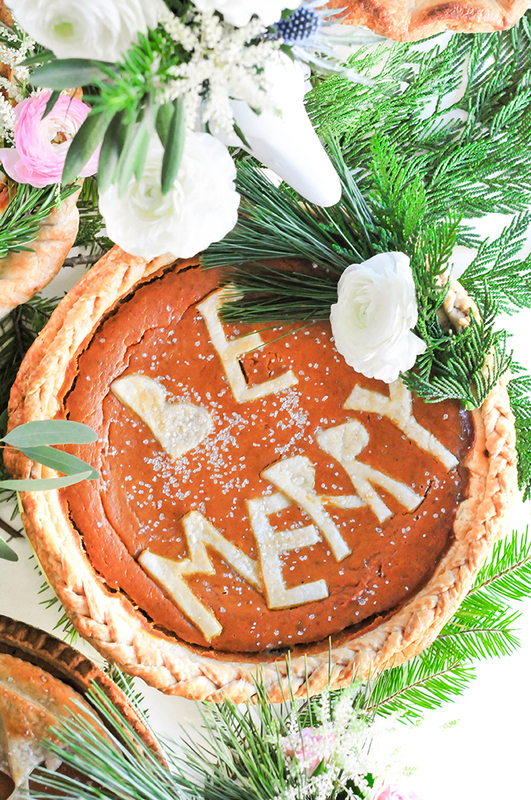 Use a clean X-acto knife to carve out letters from rolled pie crust to place on pies that aren’t covered. Don’t worry about having lovely carve-manship. (We create our own words over here.) Just freehand it and the results will be just as fun! Cookie cutters are your friends! 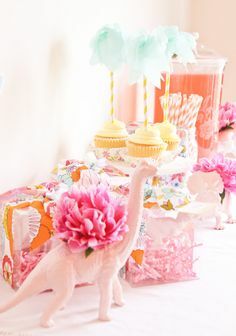 If you’re a little uneasy about carving out your own letters, simply use various cookie cutter shapes to layer. 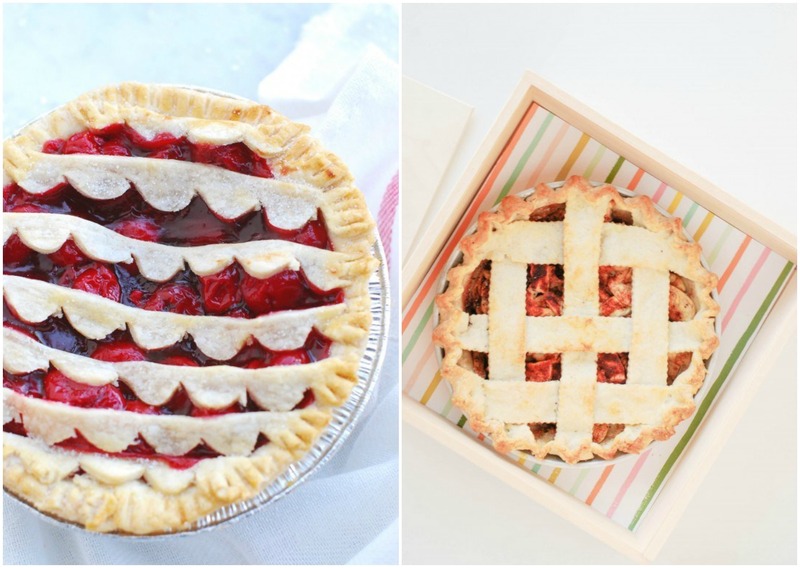 For the extra cuteness factor, layer the large part of the pie crust with the negatives on top of the pie and then place the cut shapes just around there. You can see all the details about these pretty crusts right over here in last year’s post! 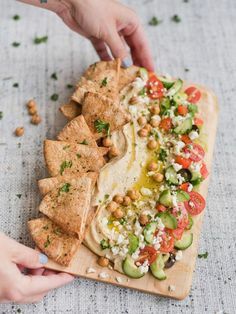 In addition to the cut shapes, you can use a rotary cutter to cut strips of crust in various widths. Space them out differently, but keep everything going the same direction! It’s a modern take on a the lattice pies from days of yore. Have fun with your crust! Use an X-acto knife or a butter knife to cut mini scallops and lay them across the pie. 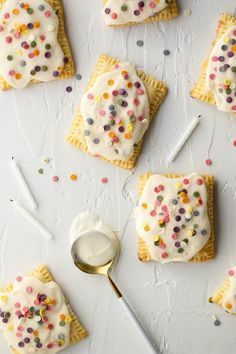 It’s not perfect, but it looks so very fun after you bake it! Maybe I’m just patting myself on the back over here. 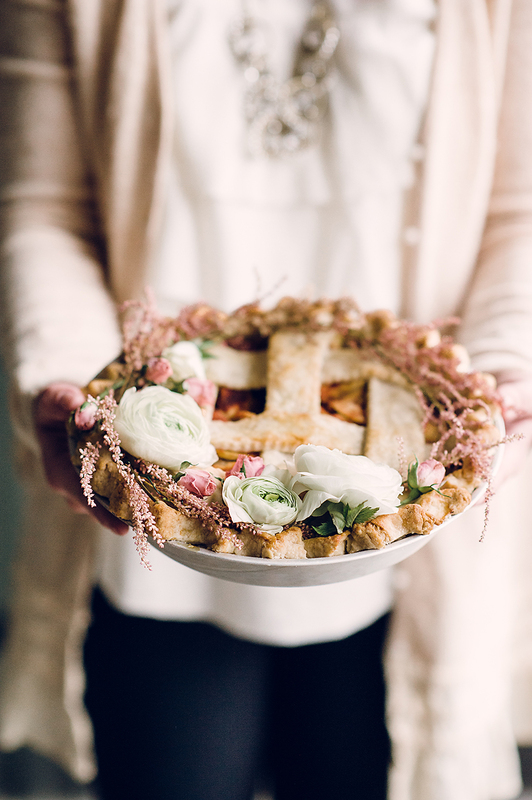 Flowers might just be the pretties addition to your pie this year. 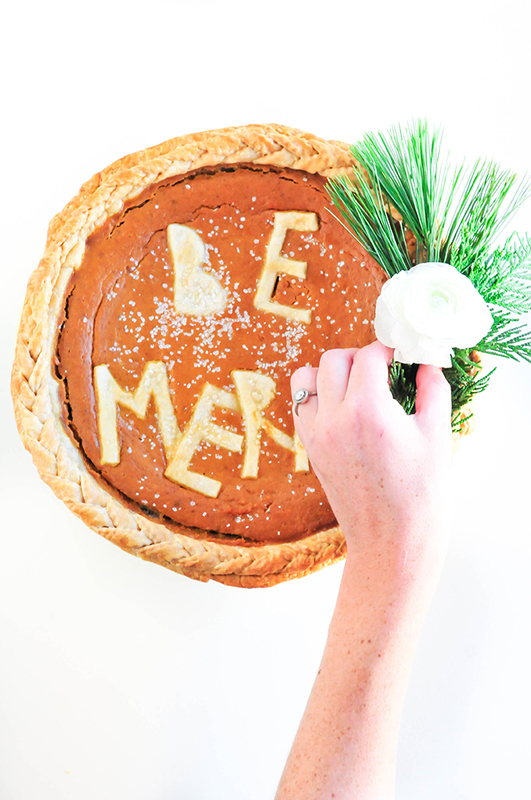 To see how we adorned a few pies a few different ways, check out this post! The last thing I’ll add is that your crust DOES NOT HAVE TO BE HOMEMADE!!!! I’ve had success with both from-scratch crust, as well as store-bought and everything turned out great. 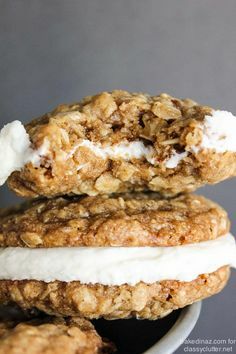 Some of the crusts used in this post are store-bought! There’s this stigma that surrounds a store-bought Thanksgiving, and I gotta tell you, we all have busy lives! Whatever shortcuts we have to take, I’m for! 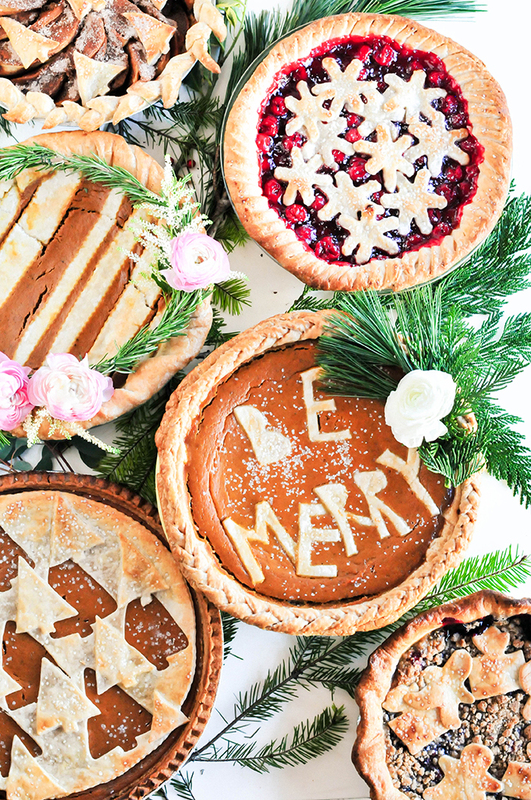 We’ve got a few more fun ideas coming this week to help you prep up until the very last minute – like the 411 on these galettes! So hang tight! In the meantime, let’s all plan out our Thursday meals bite by bite, shall we? I am a beginner pie maker and you’ve inspired me to create one of these beauties!!! Cant wait to see how it turns out!